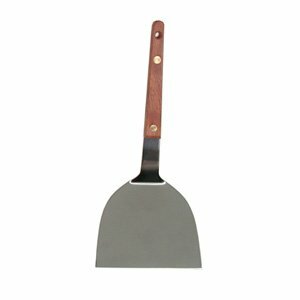 Competitive Edge Products is happy to offer the fantastic , 9½-Inch Teppanyaki Grill Spatula, Grilling Spatula, Turner Spatula, Griddle Spatula, Barbecue BBQ Spatula, w/Cutting Edge, Solid Stainless Steel, Riveted Smooth Wood Handle, Commercial Grade. Has someone told you that you are a perfect cook? I’m sure that they don’t know your secret: 9 ½ inch, Teppanyaki Grill Spatula made of solid stainless steel, with a cutting edge, riveted smooth wood handle and commercial grade. Share your secret with your friends and cook together the best food ever. 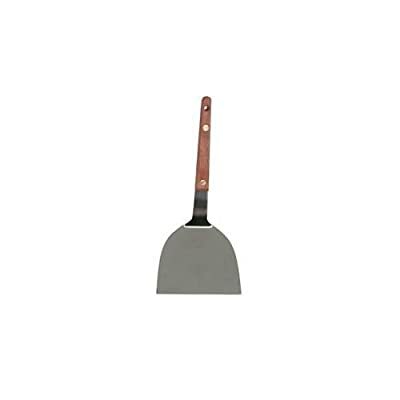 This commercial grill spatula features a rugged design with a sturdy wood handle.